Todd Skovron is a lifelong Rhode Islander who says he is destined for a warm-weather home. In the meantime, he's leveraging technology to showcase and grow New England's AAU offerings. Background: Skovron describes himself as a lifelong Rhode Islander. But let’s not forget about the year in the mid-1990s that he spent attending college at the University of Tampa. Skovron certainly remembers his brief Florida experience. “I am destined for the warm weather, that is going to happen when I retire,” he said. Skovron, who played baseball and basketball at Johnston High School just outside of Providence, attempted to walk on to Tampa’s highly successful NCAA Division II baseball team (the Spartans have won seven NCAA titles). “I just didn’t live, breathe and eat it,” Skovron said. “My roommate in Tampa was also from Rhode Island, and he was an absolute baseball diehard.” Skovron headed back north and completed his education at the University of Rhode Island. 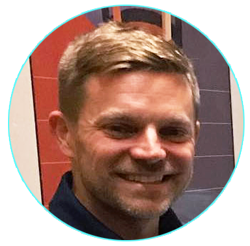 He continued to play AAU baseball as he had growing up, created an outlet for his passion for tennis by founding Tennis Live Radio and eventually went to work for New England AAU in a variety of roles dating to the early 2000s. 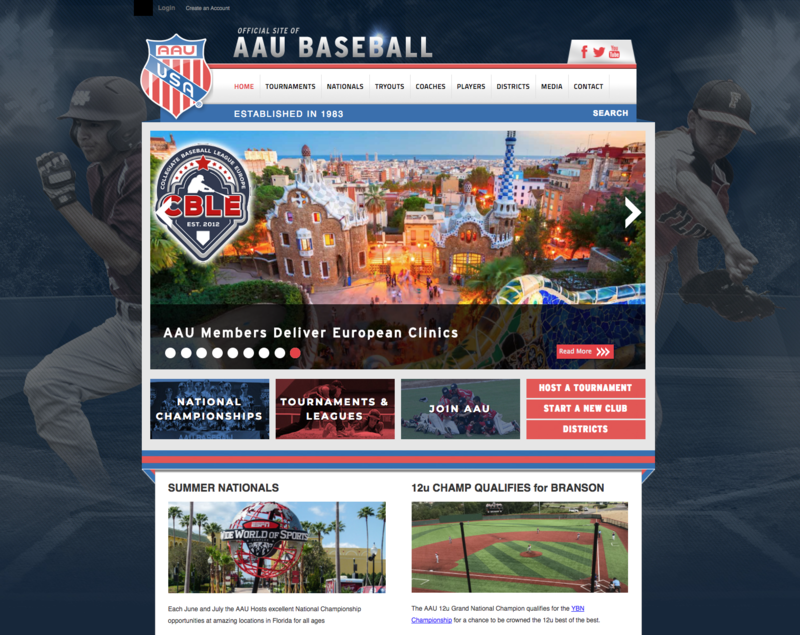 What he does: As a representative on AAU’s national baseball committee, he helped transition AAU Baseball onto the SportsEngine platform in early 2015. From there, Skovron helped with the launch of three more AAU sites, all based in New England (New England AAU, New England AAU Baseball and New England AAU Basketball). 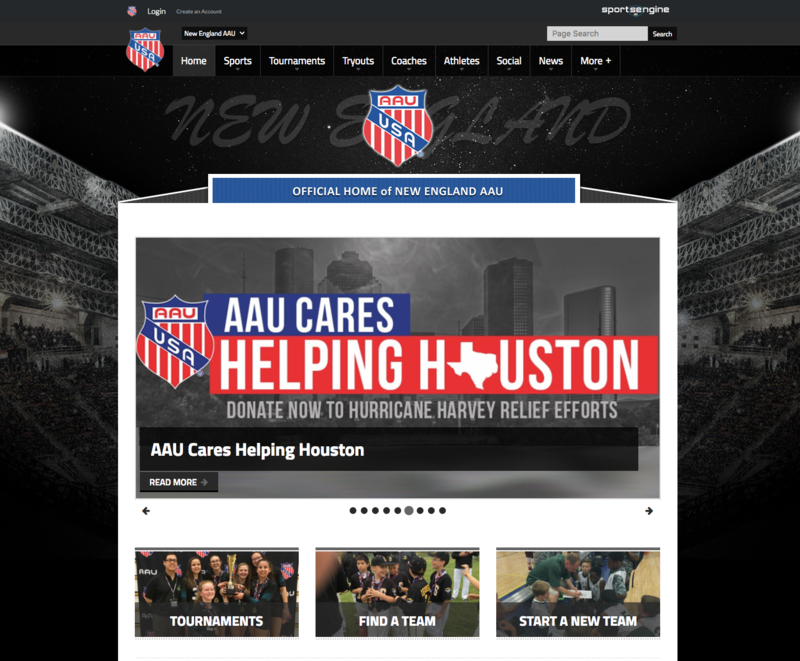 “A couple of our programs were just too large, so we redesigned our organization site and added the two sports specific sites,” Skovron said. Overall, Skovron estimates New England has 7,500 baseball members. That number doubles for basketball. “We manage a lot of kids,” Skovron said. 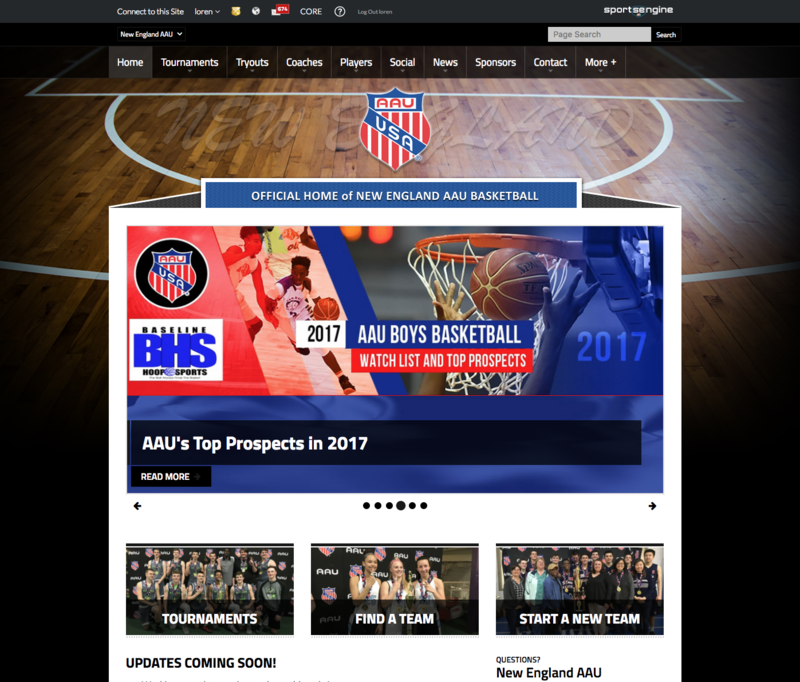 The New England sites offer mostly regional content, but national AAU content is sprinkled into the mix. Because AAU does not form teams or accept individual athlete registrations, Skovron provides the ability for “free agents” and teams needing players to connect. The Find a Team page offers links to a teams’ tryouts schedule and the ability for players to place their names on a Free Agent Player list. The page also has links to an AAU club locator and the current season’s standings. All three New England are set up to to have a similar look and navigation. 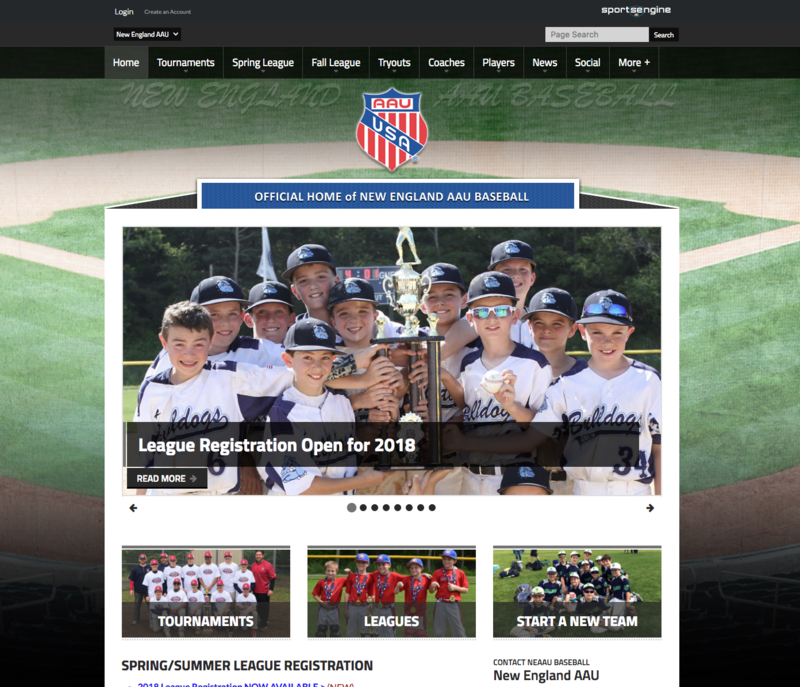 On all of the sites, several key sections (such as Tournaments, Find a Team and Start a New Team) are highlighted through Call to Action page elements. Making his mark: Spring baseball in New England is not guaranteed proposition. “Winter is always long, fields are always a mess,” Skovron said. “Games get rained out and get snowed out.” For years, Skovron would be besieged by coaches looking to make up games. 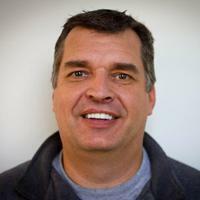 Those calls and emails slowed considerably after he created a Find More Games form that allows coaches to add available game dates for all AAU teams to review. Fun fact: The AAU Junior Olympic Games are scheduled for July 25 through Aug. 4 in Des Moines, Iowa.